A view of the launch pad built for the X-33. 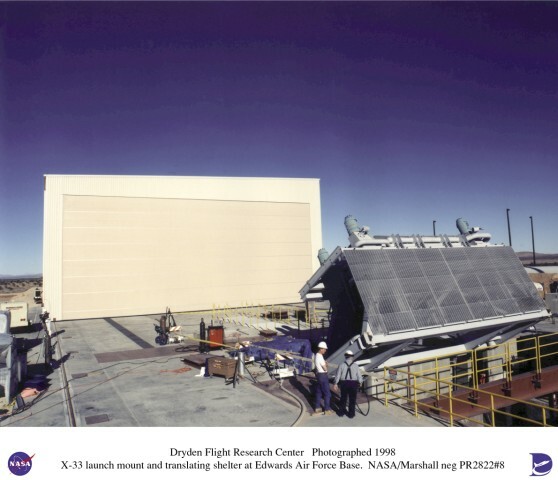 Although Edwards AFB has long sponsored static rocket engine tests, the X-33 would have been the first ground launch of a rocket propelled vehicle from Edwards. Technical problems with the liquid hydrogen tank eventually let to the program's cancellation in February 2001.